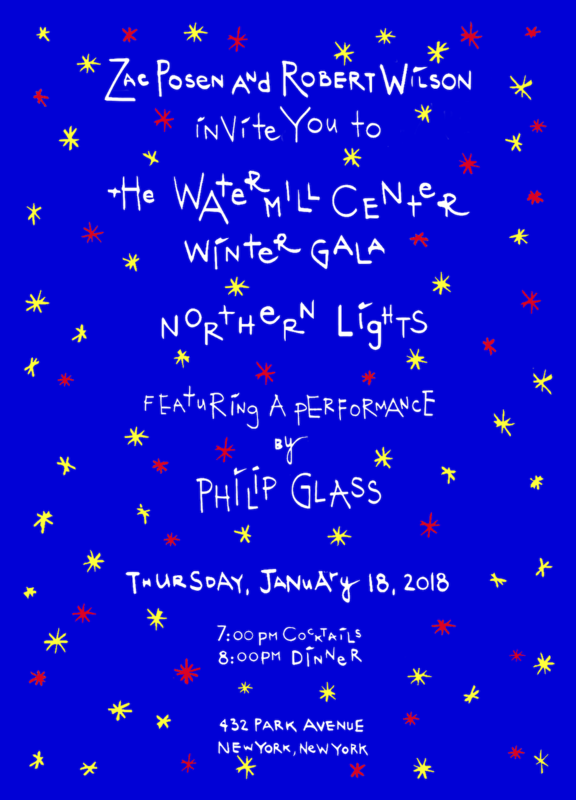 The Watermill Center Winter Gala, NORTHERN LIGHTS, is a one-of-a-kind evening hosted by Zac Posen and Robert Wilson in the private dining room at 432 Park Avenue. All proceeds from the Winter Gala benefit Watermill’s Artist Residency and Education Programs, enabling us to support an international network of artists and visionaries throughout the year. To purchase tickets online, please follow the links below. Otherwise, tickets can be purchased by credit card using the order form here, emailing benefit@watermillcenter.org or calling +1 (212) 253-7484 x115. Completed in 2015 by Uruguayan architect Rafael Viñoly, 432 Park Avenue is the tallest residential tower in the Western Hemisphere. At 1,396 feet and 96 floors, it surpasses the Empire State Building and the Chrysler Building without its spire, and its rooftop is the highest in the city. Located on the 92nd floor is the tower’s model apartment, fully furnished by designer Kelly Behun. And on the 12th floor is a private dining room and restaurant by Michelin-starred Chef Shaun Hergatt. Learn more. Please note: a very limited number of tickets remain. To ensure that your ticket order is processed, we encourage you to return a completed order form by email to benefit@watermillcenter.org or call Erin Wainwright at (212) 253-7484 x115 at your earliest convenience. We cannot guarantee seats for individuals who purchase tickets by mail when an order form or check is received after the event is at capacity. For questions or concerns, please do not hesitate to be in touch.